Browse: Home / How to fix the Sega Game gear sound problems. The Sega Game Gear is over 20 years old now so it is no surprise that a lot of game gears no longer work today. Fortunately a lot of these problems are fixable. In this tutorial You will learn how to fix quiet sound with or without headphones. All you need is a 4.5mm gamebit screwdriver, a philips screwdriver, pliers, a soldering iron, solder, 3 x 100uF 10v capacitors, 2 X 47uF 10v capacitors. You can source the capacitors separately or buy them all in a bundle. 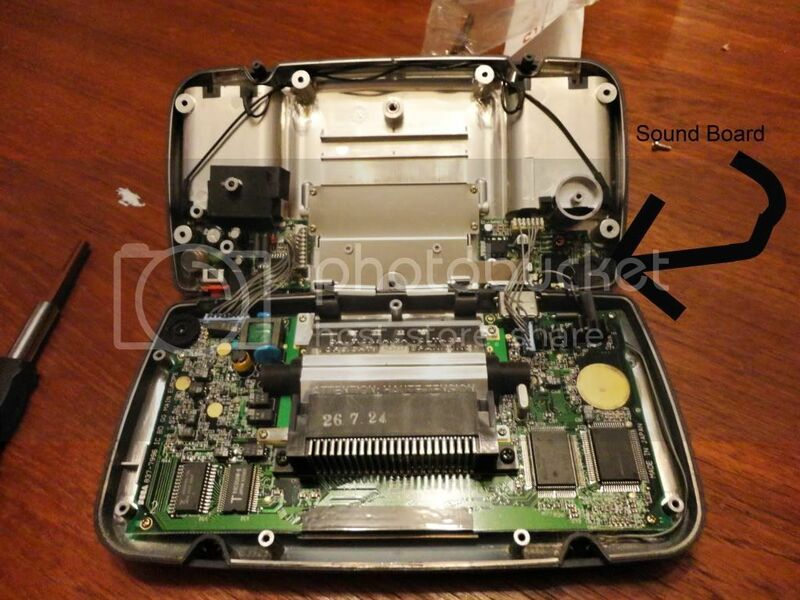 Firstly you will need to remove all of the screws around the console’s shell and the security screw here. For this screw you will need to use the 4.5mm gamebit screwdriver. If you don’t want to buy one. You can always use mmmonkey’s pen method to make one. 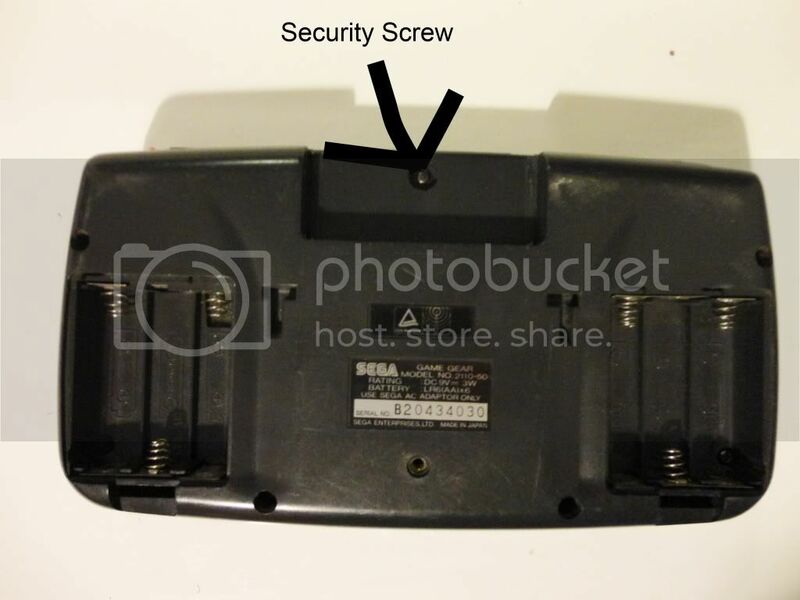 Now open up the Sega Game Gear shell and remove the 4 screws you can see on the metal plate. in the upper right hand corner you will find the sound board. You need to remove the wires attaching it to the main board. Then detach the 2 screws on the soundboard. Before replacing any capacitors please must make sure that the Positive on the capacitor lines up with positive on the soundboard and negative with negative. The smaller capacitor 3rd from the edge is the sound speaker capacitor It is one of the 47uF capacitors. You will need to replace this with a soldering iron. If you want to fix the headphones then you will need to replace capacitor on the opposite side next to the edge. This one is also 47uF. After doing this your GameGear sound should be sounding as good as new. If there are still problems with the sound I suggest removing the other 3 capacitors and replacing them.